Romans 1–8 is what you say means everything to you, but which actually means far less to you than it should, but even that is taken care of by the very thing that you and I feel with such pathetic intensity. Romans 1–8 is God’s answer to what he does to the bride whom he marries and finds out she’s been cheating on him with other lovers since their honeymoon—he pursues her anyway, and doesn’t stop, eventually laying down his life for her. Romans 1–8 is God’s insistence that if you throw in the towel on your own moral resume you can have Christ’s perfect record as yours and he will take your messy record to the cross as if it was his record and be punished for your sin there, in your place. Including the sin of this week. And of this very moment, conscious or not. Everything. Romans 1–8 is God’s honest assessment of our hopeless situation (Rom 1–3), God’s self-initiated rescue plan in his Son (Rom 3–4), and God’s determination to actually change, from the inside out, those whom he has declared righteous in his court of law (Rom 5–8). Romans 1–8 is the news, both terrifying and liberating, that to cover your sin now is to have it uncovered on the final Day, and to uncover your sin now in contrite openness is to have it covered by Another on the final Day. Romans 1–8 is the message that God’s love for you is not dependent on the level of intensity of your response to the sermon you heard this week. Romans 1–8 is the reason you never have to ask forgiveness more than once. When we screw up, we tend to slather it in a litany of requests for forgiveness, which dishonors Christ by thinking a lot of requests for forgiveness will help out or speed up God’s approval of you. Romans 1–8 is the reason we can laugh in the face of habitual failure, rejection by others, fears that don’t go away with age, joblessness, academic adversity, miserable family dysfunctions, singleness when we wanted to be married by now, kidlessness when we wanted to have kids by now, and every other darkness that washes over us when we roll out of bed in the morning. Romans 1–8 says that if you are in him, every darkness, every pain, every anguish, every relationship gone sour, every dashed hope, everything in you and in your life that makes you cringe, is all going to be reversed and rewound. You cannot lose because the more darkness now, the more light then. Romans 1–8 says that if you have a spark of faith toward Christ, an ember of trust in Christ, that’s because you have been united by grace to Christ himself. You are one with him. You are invincible. Not even you—if you are in Christ, not even you can ruin your life. All must work out for light and calm and shalom and rest and resplendence. Conclusion: relax. Calm down, and enjoy loving your neighbor. Why Don't We Sing the Rich Stuff Much Anymore? In his wonderful book Fresh Wind, Fresh Fire (p. 145), Jim Cymbala of the Brooklyn Tabernacle in New York City quotes E. M. Bounds, the Methodist from Missouri who has helped us all on the subject of prayer. A word in season to those of us figuring out how to preach. 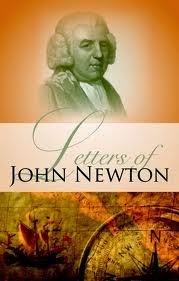 Among the things that hinder spiritual results, fine preaching must have place among the first. Fine preaching is that kind of preaching where the force of the preacher is expended to make the sermon great in thought, tasteful as a work of art, perfect as a scholarly production, complete in rhetorical finish, and fine in its pleasing and popular force. In true preaching, the sermon proceeds out of the man. It is part of him, flowing out of his life. My oldest brother Eric teaches OT up in the barren tundra of Saskatchewan, just south of the Arctic Circle I think. Somehow finding time amid fighting off polar bears while chopping firewood, he wrote a zombie novel. 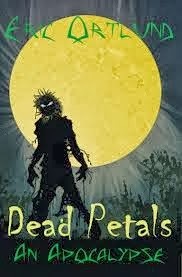 It's called Dead Petals: An Apocalypse. The kind of preying on each other, the kind of feeding off of each other in a way that kills each other in zombie movies, that is the world we live in. It is being shown metaphorically and physically in a literal way in a horror movie, but I think that horror is real. Beneath the nice appearance I think the real world we live in is much closer to the horrors and the beauties of the book of Revelation and to the kind of portrayal of the world we get in a zombie movie. A lot of dead, endlessly empty people feeding on each other. All the characters are running from something, all of whom are confronted, all of whom sin and all of whom find grace. Perhaps the eerie fascination with death that seems hard-wired into fallen people is an unexploited point of connection with the gospel. Eric believes so, and I think he is right. 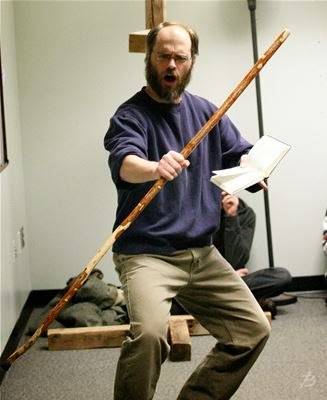 And who wouldn't want to read a zombie novel by a seminary professor who teaches like this? It is common to overcharge ourselves. Indeed, we cannot think ourselves worse than we really are; yet some things which abate the comfort and alacrity of our Christian profession are rather impediments than properly sinful, and will not be imputed to us by him who knows our frame, and remembers that we are but dust. Thus, to have an inform memory, to be subject to disordered, irregular, or low spirits, are faults of the constitution, in which the will has no share, though they are all burdensome and oppressive, and sometimes needlessly so by our charging ourselves with guilt on their account. The same may be observed of the unspeakable and fierce suggestions of Satan, with which some persons are pestered, but which shall be laid to him from whom they proceed, and not to them that are troubled and terrified, because they are forced to feel them. Lastly, it is by the experience of these weaknesses within ourselves, and by feeling our utter insufficiency, either to perform duty, or to withstand our enemies, that the Lord takes occasion to show us the sufficiency, the freeness, the unchangeableness of his power and grace.